Welcome to our 470 in 2024 microsite, where we showcase why the 470 Class is the optimum choice of equipment for the 2024 Paris Olympic Games. 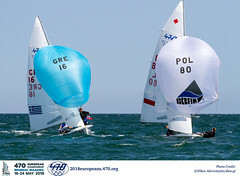 In May 2018, World Sailing confirmed the new Mixed Two-Person Dinghy event for the Paris 2024 Olympic Games, and in November 2018 confirmed the equipment criteria to be used to select the class of boat. Equipment trials will not be held for the Mixed Two-Person Dinghy, and logic dictates the 470 will be selected. The International 470 Class Association is confident that the 470 is the only dinghy that meets the demands of Olympic selection, and looks forward to being confirmed as the equipment for the new Mixed Two-Person Dinghy event by May 2019. Take a read of our latest update from the 2018 World Sailing Annual Conference. Read the 470 Class Presentation highlighting the reasons why the 470 should be selected as equipment for the 2024 Olympic Games,and the benefits the 470 Class brings to the Olympic programme. Skipper weight range: 50 - 70 kg. Crew weight range: 65 - 80 kg. 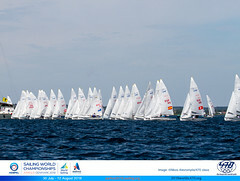 Suitable wind range for competition: 5 - 35 knots. courses, downwind slalom and/or middle gates. To find out more about the background to the World Sailing decision making process to review the Events and Equipment for the 2024 Olympic Games click here. Then please keep on reading - and please share this information to make sure the value the 470 brings to the Olympic Games and sailing around the world is fully understood. 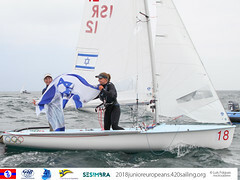 The International 470 Class Association strongly believes that the 470 Class meet all the requirements set by World Sailing and the International Olympic Committee to be included in the Olympic programme. We are working hard to ensure the class’ continued Olympic inclusion.